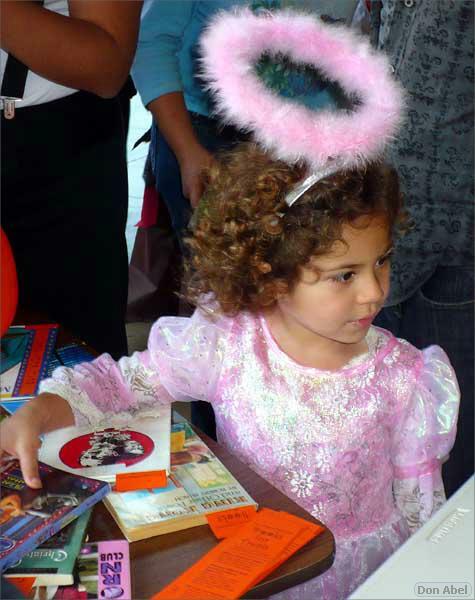 Rebecca Morgan was interviewed on Mile High Radio’s Pay It Forward show. Listen here. 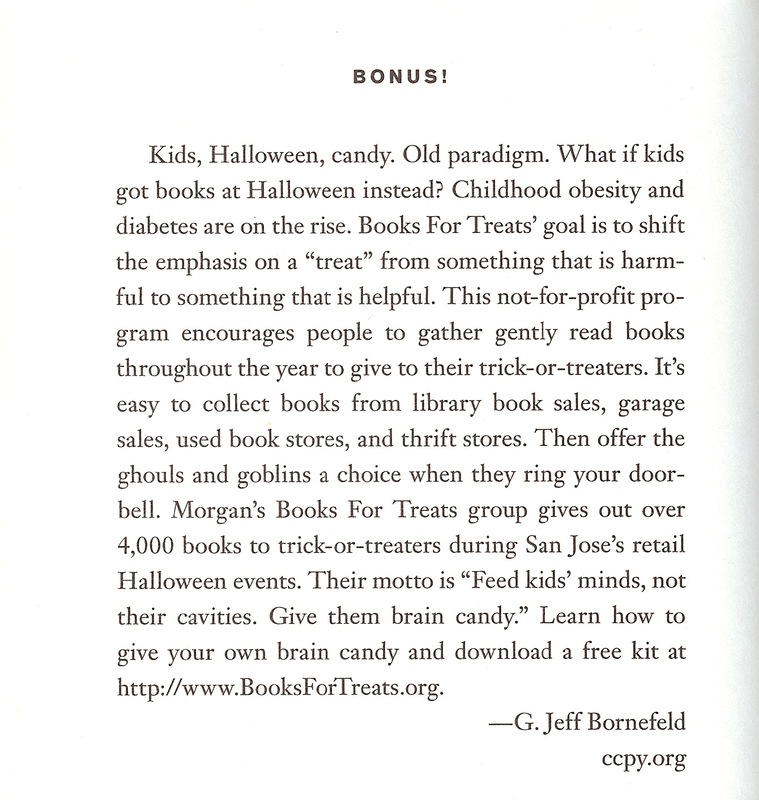 Books For Treats was also mentioned in Seth Godin’s book, Purple Cow. 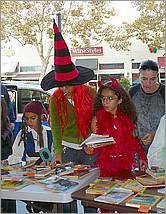 Read what was written. 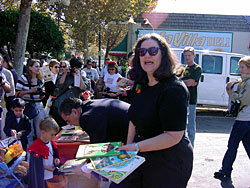 BFT Founder Rebecca Morgan and San José Mayor Gonzales pass out books for treats at San José’s Willow Glen business district’s trick-or-treating event in 2001. 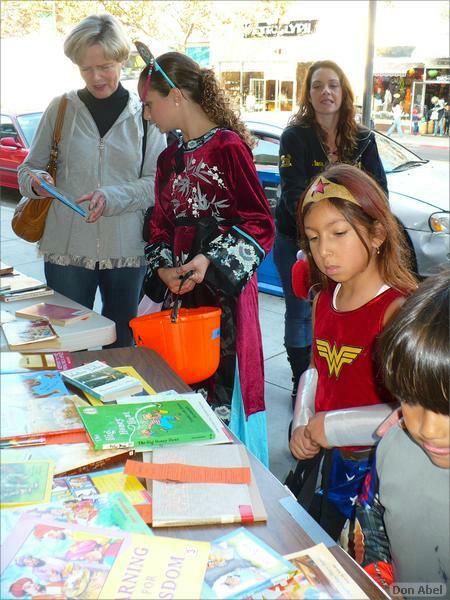 Trick-or-treaters love getting books at Halloween. 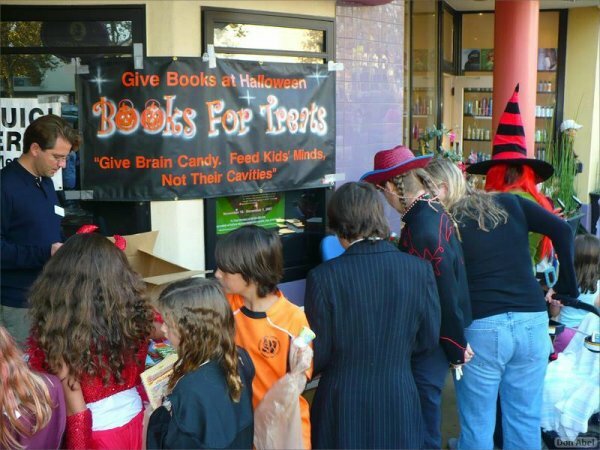 Books for Treats always draws a crowd!